PRESEASON EXPECTATIONS: Always on the short list for being a cup contender with stars such as Keith, Kane and Toews, anything less than a conference finals appearance would have been considered a bad season. FINAL RECORD: 48-28-6 102 points, 3rd in Central. Went on to defeat Predators, Wild, Ducks and Lightning (all of whom hit the century mark in points) to win their 3rd cup in six years. HIGH POINT OF THE YEAR: With five minutes to go in game six and the Hawks holding onto a precarious 1-0 lead over the hungry but beaten up Bolts, Richards fired a perfect pass to Patrick Kane who fired in the dagger and give the Hawks a 2-0 lead and essentially end the game and the season. The Hawks set themselves up to be considered a possible dynasty. LOW POINT OF THE YEAR: Kane broke his collarbone in late February, they were sitting at 35-20-5 and not a lock to make the playoffs. They reached deep, going 13-8-1 without Kane who was expected to miss the first two rounds of the playoffs. Instead he came back early in time for the postseason. The other low point of the year, the clubhouse is rumored to be in turmoil with rumors everywhere that Sharp slept with Keith’s wife. WHAT WENT RIGHT: Well they won the cup. They added Vermette, Timmonen as rentals who both contributed nicely. Scott Darling had a brilliant 1.94 goals against average to push Corey Crawford. Captain serious (28-38-66 plus 30) carried the team most of the year. Kane 64 points/61 games was star material pre injury. Hossa (22-39-61) continues to age like fine wine. Brandon Saad (23-29-52) established himself as a star in the making. 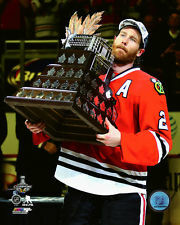 Duncan Keith won the Smythe and had a great regular season, he may be the best defenseman in the game today. Rugged Bickel (14 goals) had a nice bounceback year. Hjalmarsson (plus 25) was solid. Seabrook had his usual year. Brad Richards was okay as a 2nd/3rd line center. WHAT WENT WRONG: Teuvo Teravainen (4 goals, 34 games) was given every chance to take a top six role and showed he is not quite ready. Patrick Sharp (16 goals) showed signs the end is near. Andrew Shaw continues to be frustratingly ordinary. Kid players not including Teravainen, such as TVR and Nordstrom (and 4 other rookies) played a total of 68 games with zero goals. Corey Crawford was third on his own team in goals against and save pct and went a very ordinary 32-25. STRANGE STAT OF THE YEAR: Not a team you want to be forced to win a faceoff against. Toews and Vermette finished in the top five for faceoff pct. Patrick Sharp may be slipping but is still deadly on the power play with half (8 of his 16) of his goals on the power play. Teravainen is expected to take a top six role on the wing, period. Nothing else will do. 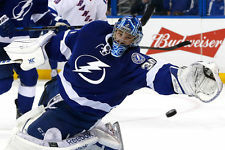 Darling established himself last year in net, he may push Crawford for playing time. 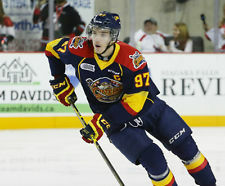 With the team up against the cap young kids will be given every chance to earn a role on the team, high on the list are forwards Mcneill, Hartman and Danault and d-men Pokka and Trevor Van Reimsdyk are almost certain to be with the big club. This Stanley Cup winning club could ice five rookies not counting Teravainen and Darling. OFFSEASON QUESTION MARKS: How to ice a team with two players making ten million a year eating up 30 percent of the cap? A huge list of free agents, all nice spear carriers, are all almost certainly gone. Where do they find a number two center? Can they trade Sharp who is eroding before our eyes? on a given night can they stay on top of the league with so many holes expected to be filled by kids who are good prospects but not great ones? Can they convince Crawford to waive his NTC? The biggest, like I mentioned a few lines up, who on Earth is going to be the number two center? Decisive action by the Flyers! Too bad it was in the parking lot. And Rask has been very inconsistent too...could he be their weak link??? Terrible play by Hamilton...got to be willing to get that puck...sacrifice the body to do it... ...i can see this going 7 games...i know the Caps don't want that. Oshie will be out a while with a fractured clavicle...if not for good. I'm fairly certain it means the # of years completed prior to the draft. Reg season is over of course...but this playoff titl was awesome..